So why are people so unhappy with the shape and size of their lips? As we age, our lips loose volume and shape and tend to appear thinner. Then there’s those of us who have naturally thin lips, even at a young age and would love to add more shape, definition and volume. 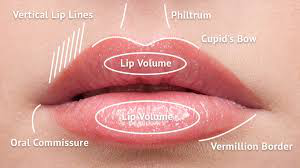 Lipstick can create the illusion for fuller lips, however they tend to smudge and bleed into the vertical lines known as ‘lipstick lines’ above the mouth. Today’s lip fillers have been specifically developed to enhance the natural shape of your lips, helping you achieve more defined, beautifully shaped, plumper lips. Our hyaluronic acid lip fillers are designed to give you a natural long lasting look for up to 12 months. Blackpool Aesthetics only use FDA approved and UK licensed products. We aim to make your treatment as pain free as possible, and use a topical numbing cream and spray, and only use fillers that contain lidocaine, helping to numb the areas as the filler is injected. Please contact us for prices on Blackpool lip fillers and monthly offers.